South Texas Museum, McGill Brothers Building, Alice Texas. Hours: 1 - 5 Tues- Friday. 10 - 2 on Saturdays. Mississippi native J. W. McGill and his wife Lydia (Abell) reared two sons, James Claude (1873-1935) and H. Frank (1883-1952). The McGill brothers attended school in Flatonia, Fayette County, Texas. In 1904 Claude McGill established small ranches in Fayette and Nueces counties. In 1911 he and his brother Frank formed a partnership and in 1916 they purchased the Santa Rosa Ranch in Kenedy County, Texas. Frank married Annie Lake in 1905 and Claude married Eva Rowland in 1922. Both families settled in Alice, Texas. The McGill brothers helped organize Jim Wells County and were active members of the Southwestern Cattle Raisers Association. Claude served as vice-president of the association in 1935; Frank served as president in 1936. 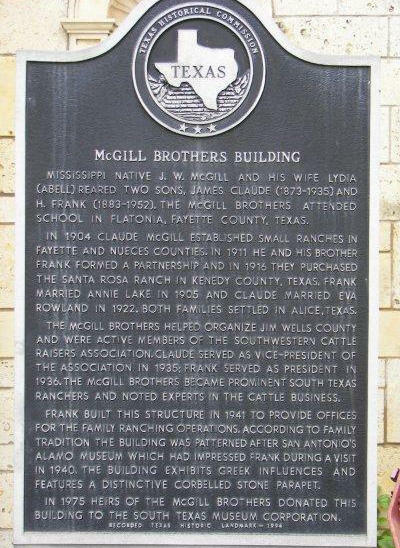 The McGill brothers became prominent south Texas ranchers and noted experts in the cattle business. Frank built this structure in 1941 to provide offices for the family ranching operations. 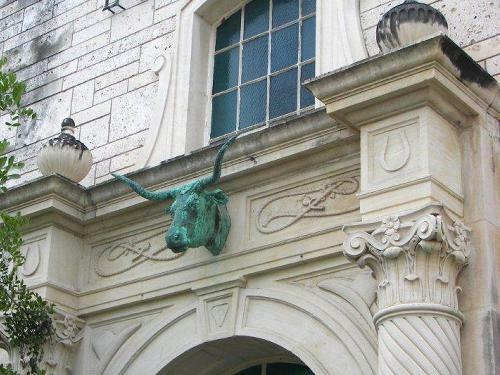 According to family tradition the building was patterned after San Antonio's Alamo Museum which had impressed Frank during a visit in 1940. The building exhibits Greek influences and features a distinctive corbelled stone parapet. 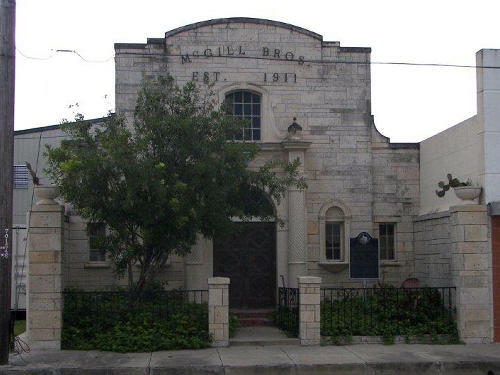 In 1975 heirs of the McGill brothers donated this building to the South Texas Museum Corporation.